Windows Cleaned in all London areas. 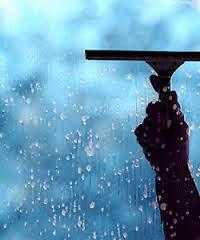 Our cleaners are specialist window cleaners. We can clean up to four storeys. Please allow three days for bookings. Please email for booking enquiries or for further information. If you are looking for a window cleaner that will also clean other exterior parts of your property that need cleaning, then visit this website to check out Washforce. Washforce have all of the equipment and training to be able to carry out a wide range of cleaning tasks for homes and businesses, including gutter cleaning, graffiti removal, patio cleaning, driveway cleaning, window cleaning, solar panel cleaning and pressure washing services. They are a national company with franchises across the UK, so wherever you are they will have a cleaner nearby. You can be confident of a professional service from our Window Cleaning services as all window cleaners are fully vetted and uniformed and all work is closely monitored and managed.